Whether you’re hoping to up your chances in the dating department or you simply find style and gender studies intriguing, today’s story is for you. Putting personality traits aside, heterosexually based research has provided scientific explanations behind the items of clothing men find most attractive on women. From utilizing the age-old wearing-red trick to exposing an unexpected body part, read on to find out what it takes to make someone look twice (according to science, that is). And as always, make sure you’re comfortable in whatever you wear—you’re the most important critic of your own style! Scroll down for the five items that scientifically make women more attractive to men. According to a study published in the journal Archives of Sexual Behavior, high heels increase a woman’s attractiveness. 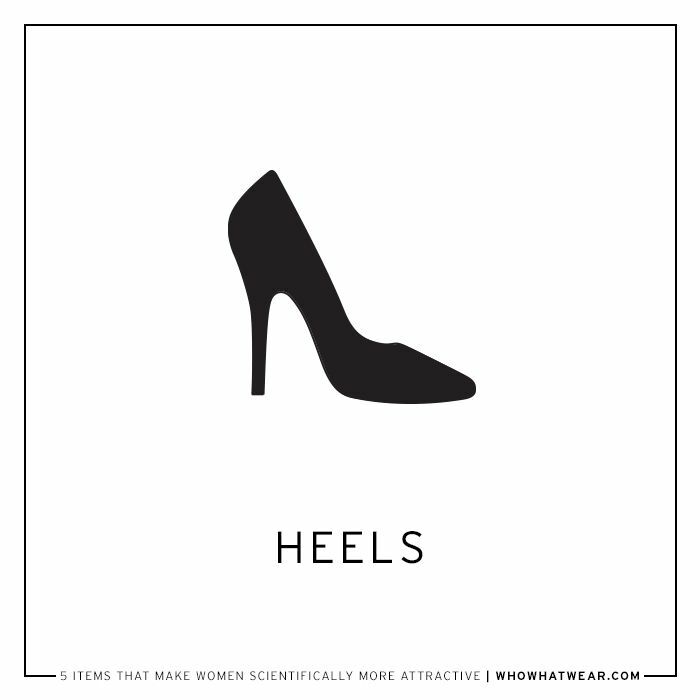 The study also showed that women wearing heels have a higher chance of being approached. Surprised? Keep scrolling to shop our favorite heels and to find out the next item on the list. Nothing new here, but in case you need a refresher, a study published by The Journal of Personality and Social Psychology proves the color red enhances males’ attraction to females. Looking to add more red to your wardrobe? Shop our picks below. Okay, this one doesn’t technically have scientific proof, but Elizabeth Hawes’s words of wisdom on what men find attractive is worth including: “Five out of five men are said to look twice at any girl in a black dress.” Easy enough, right? Keep scrolling to find your next little black dress. If you think long, slender legs win as the best physical asset according to men, think again. A study from the University of New South Wales shows that men are actually more attracted to a woman’s arms. Put this fun fact to use and shop our favorite sleeveless picks below. Consider showing off your curves in a body-con dress, because according to researchers in New Zealand, men prefer an hourglass-like figure with a larger waist-to-hips ratio. If you’re looking to emphasize your hips even more, try one celeb-approved style trick to create the illusion of an hourglass. Keep scrolling to shop two of our favorite hip-hugging dresses. Up next: Here’s what to wear for a night out.